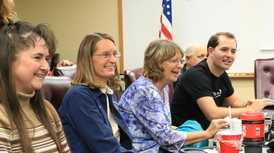 On September 23rd, the Wyoming State Board of Education (SBE) voted unanimously to approve the 2016 Wyoming Science Content and Performance Standards. The standards will now be sent to Governor Mead for his 75-day review. If signed, school districts will develop local curricula to implement the standards by the start of the 2020-21 school year. Although the Wyoming State Capitol is closed for renovation and restoration, your class is still invited to visit and experience the sites and processes of Wyoming’s Capitol Complex - home to Wyoming’s Executive, Legislative, and Judicial branches. To learn more about these various programs, to view the standards and benchmarks they address, and to schedule your visit, please visit our website here. The website also provides programs, lesson plans, and resources for use in your classroom if you’re unable to visit the Capitol Complex. 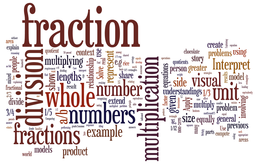 In this survey, you will be asked to comment on the current 2012 Wyoming Mathematics Standards. You may choose to respond anonymously. The information collected from this survey is intended for two purposes: 1) to identify areas for additional PD and resource support, and 2) to identify areas of concern for the future Math Standards Review Committee's (MSRC) consideration. We try to engage students in difficult mathematics through real world examples, relevance, and examples of math in the world of jobs. These often fail us, leaving students even more disengaged than they were originally. We’ll look at research from mathematicians and cognitive scientists and discuss strategies for engaging students through constructive controversy, mathematization, and using technology to create intellectual need. Teachers will leave the session with a website full of strategies and resources. Casper College invites you to the 14th Annual Math and Science Teachers’ Conference. Casper College is committed to providing participants of this event with cutting-edge technology, innovative teaching methods, networking opportunities, and continuing education, teaching standards (PTSB), or graduate credits. The 2016 Conference will feature the following: tours of two Dual Immersion programs in Natrona County, Keynote Speakers Bryce Hedstrom and Brandee Mau, breakout sessions, and many local experts in language learning! Please visit the Online Professional Learning website to learn more. The National Endowment for the Arts and the Poetry Foundation have partnered with the Wyoming Arts Council to bring the 12th year of Poetry Out Loud—a competition for high school students that encourages students to learn about poetry through recitation and performance. POL helps students develop and improve public speaking skills, build self-confidence, and discover a love of poetry and the written word. Students also have the opportunity to win cash prizes and money for their school library to purchase poetry books. The state champion will be awarded an all-expense-paid trip to the national competition in Washington, D.C., April 23-25! To learn more about POL, visit the national website or contact Tara Pappas 307-777-7109. Registered teachers will receive a free toolkit that includes posters, lesson plans, a printed anthology, and a teacher’s guide. Please register as soon as possible so that students have time to prepare! Nominate a leader in literacy for the inaugural year of the Wyoming First Lady’s Leaders in Literacy Award! Any Wyoming citizen, organization, business or community member can be a nominee. Accomplishments that are noted should reflect substantial contributions made in Wyoming that exemplify a commitment to the literacy development of Wyoming citizens. Award winners will be announced at the Wyoming Business Council Event in November in Cheyenne. Recipients will receive a $4,000 award and a plaque recognizing the honor. EdReports.org is an independent nonprofit that publishes free reveiws of instructional materials, using educator-designed tools that measure alignment, usability, and other quality criteria. The reports may help districts and educators make informed purchasing and instructional decisions that support improved student outcomes.